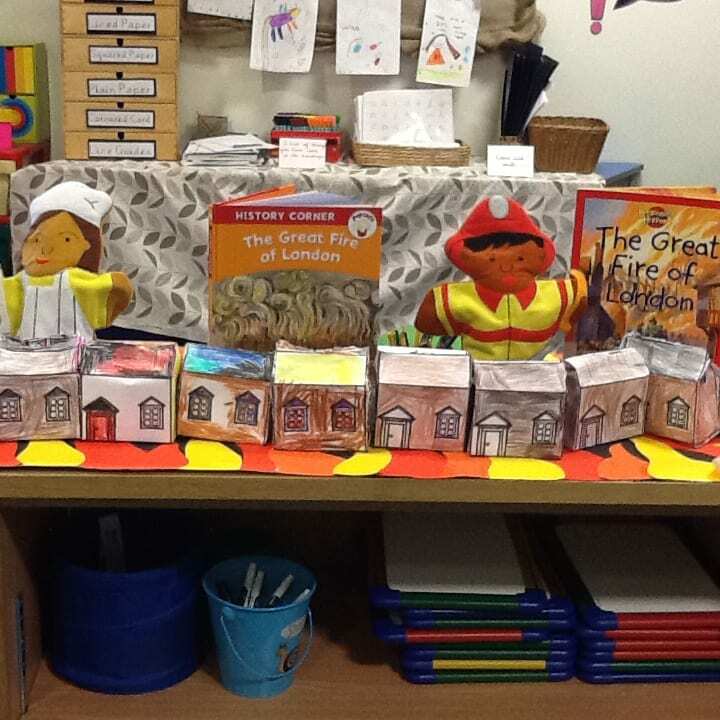 We have been learning all about what objects and buildings where around at the time of the Great Fire of London. We have looked at how the houses would have been built and how these would have set on fire easily. Then we talked about what things people would have used to put out the fire, like fire hooks and leather buckets. Creating some Great Fire artwork! Fantastic Fire Homework!